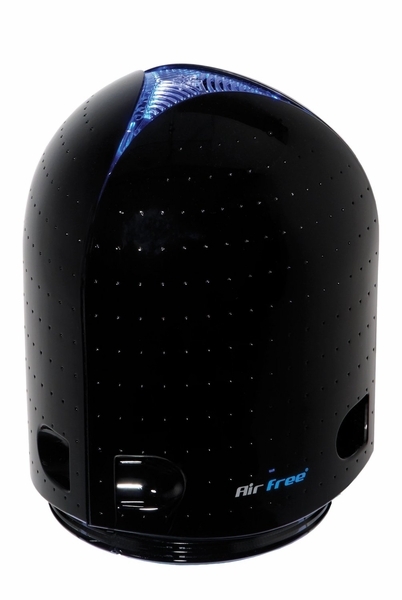 Eliminates dust mites, bacteria, mold spores, viruses, pollens, pet dender, ozone and other microorganisms from the air. Airfree applies the same concept as boiling water in using heat to destroy microorganisms and attains 100% efficiency at the Airfree air outlet. The entire process is completely silent and requires no maintenance, not even the occasional replacement of parts. The TSS (thermo-dynamic sterilization system) technology destroys all airborne microorganisms at temperatures of close to 400 °F. Internationally certified microbiology labs and universities have tested Airfree and all confirmed its extraordinary efficiency. All you have to do is switch one the device.